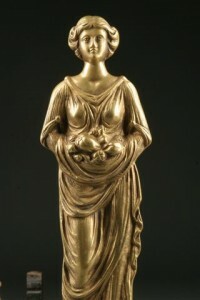 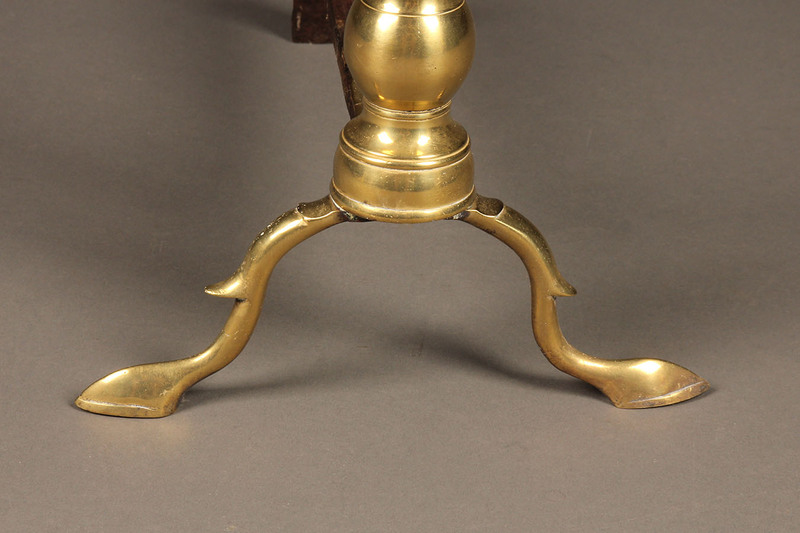 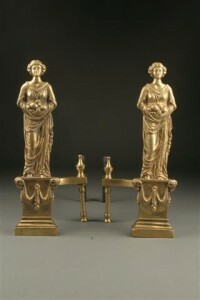 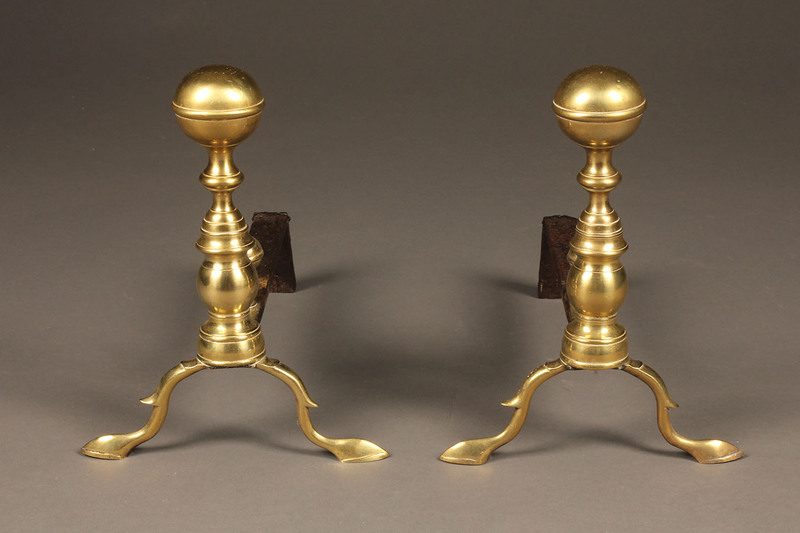 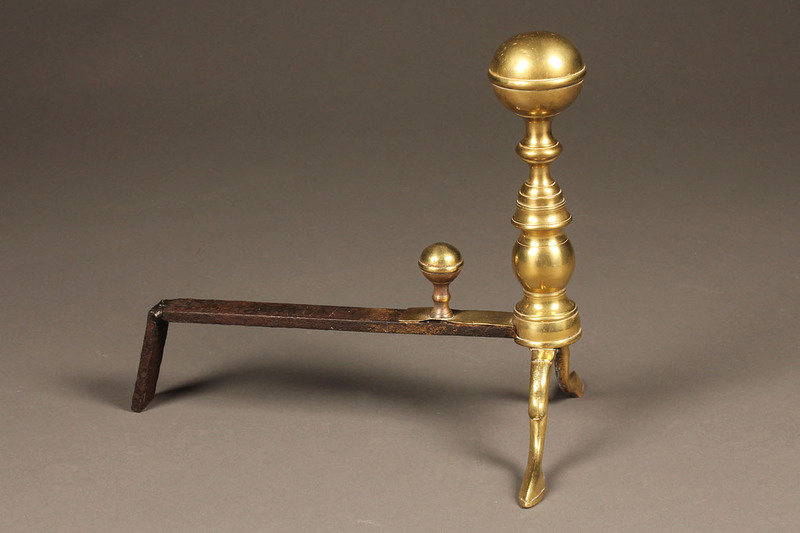 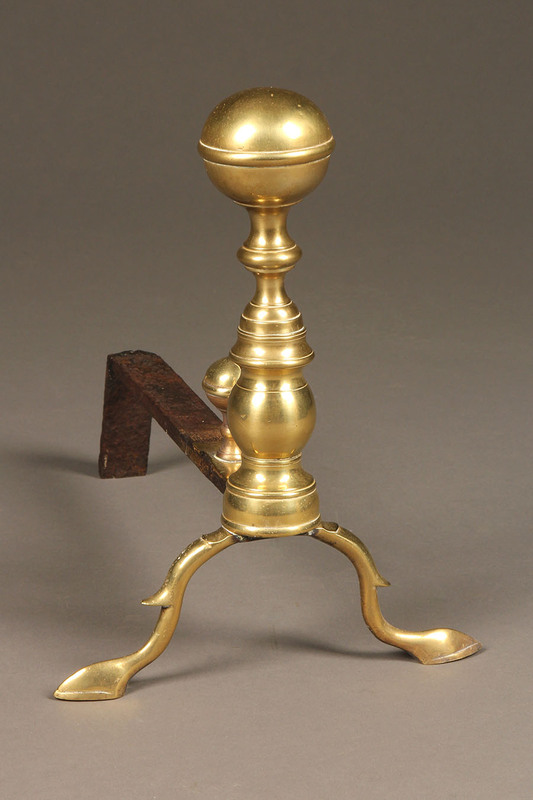 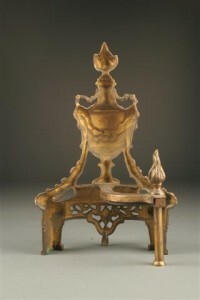 Late 19th century pair of small brass English andirons with delicate feet. 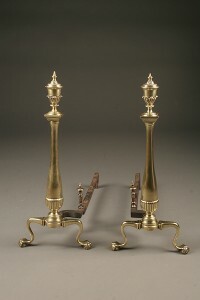 Pair of tall 19th century brass clawfooted andirons. 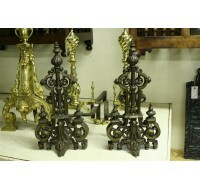 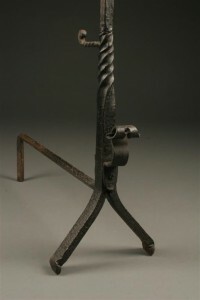 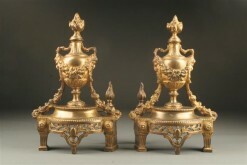 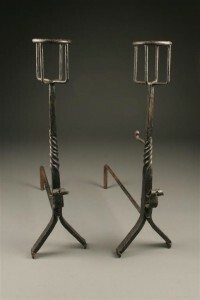 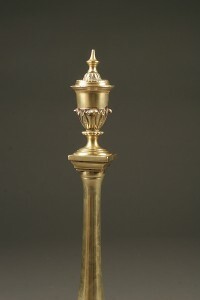 Pair of 19th century brass andirons in architectural style, circa 1870.